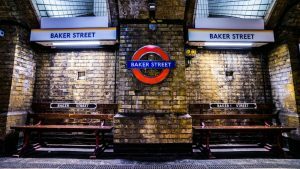 Are you planning to start your Business at Baker Street? Looking for efficient and trustable accountants in Baker Street? Many decisions must be made when you start your own business. Don’t worry, here we Miranda Management and Accountancy Service Ltd is ready to serve you all the accountant related services. We are one of the best bookkeepers and accountant in terms of reliability and efficiency in Baker Street. If you are thinking you need any advice regarding bookkeeping and accounting problems to feel free to get in touch with us. We will provide you the best solution for your business. We are providing all kind of accounting services for both small and large Organizations in the locality. Miranda Management and Accountancy Service Ltd offer personal and business taxes, payrolls, audits, VAT, annual reports, budgeting, forecasting etc. We do have highly qualified working professional accountants in Baker Street who are working day and night for our clients. We Miranda Management and Accountancy Service Ltd are evaluating our client’s needs and provide them with the best possible financial solution. For us, client satisfaction is the most important thing. Our professionals have years of experience in this industry, so they trying hard to make happy our clients. Now you can set yourself free from a headache and save your time because we will take care of your finances. So, get in touch with us and see the results in first hand.